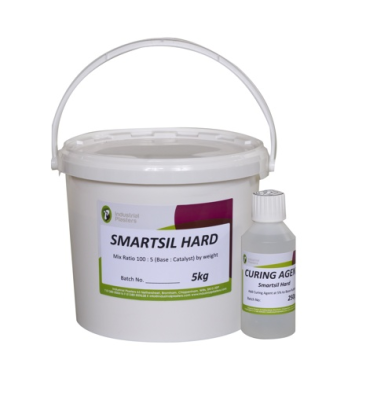 Smartsil Hard c/w Catalyst - Industrial Plasters Ltd.
Smartsil is our budget silicone developed to give the maximum economy, while still providing good quality reproduction and low shrinkage. Particularly suited to plaster casting. Smartsil thickens well for brush-on applications, using Silastic Thixo Additive. Smartsil Hard is slightly harder and tougher than the standard Smartsil and being harder is obviously more stable and less likely to distort and flex when casting. Smartsil Hard comes with a red pigmented catalyst that is added at 5% to the Smartsil base silicone.